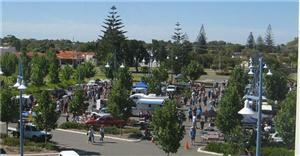 This is held every Sunday by the Rockingham Rotary Club. Handmade goods and crafts often on sale. All proceeds to community projects. Buyers: by Gold Coin Donation. In the carpark, behind the Dome Restaurant on Kent Street (Village Green Car Park).